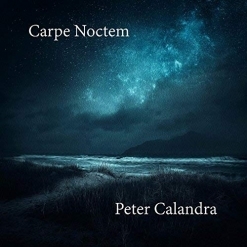 Peter Calandra is a New York City-based pianist and film composer. To say he has an accomplished career in music is easy after one reads his bio. It shows many great accomplishments including his many years performing as a musician on Broadway and scoring for film and TV. 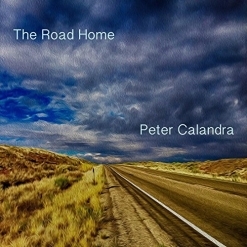 In addition, Peter has released seven instrumental albums as a recording artist, and his most recent, The Road Home, has become a favorite in my CD collection. One of the first things I noticed when I began listening to this album, is the diversity of moods and emotions. For instance, I would describe a few tracks as ambient, ethereal compositions that resemble a film score. For instance, the album begins with “A New Dawn”. This beautiful piece incorporates long drones with ambient piano “splashes” and gorgeous orchestral elements such as soaring strings. The vocalize from Joy Askew adds a nice haunting, ethereal part to the track. As I listen to this, my mind is filled with scenes that you would capture for an epic major film. Tracks similar in mood include “Morning Dove” and “Points in the Sky”. Very expressive and peaceful music. Differently, there are tracks more rhythmic and energetic in nature. I would describe them as contemporary instrumental compositions, with seasoned jazz and pop overtones. I absolutely love “Cat’s Eye”. In addition to a harmonically rich and rhythmic piano part, we hear a melodica wind instrument that doubles the piano melody before giving us a delightful, jazzy improvised solo. And all this occurs over smooth bass lines and tasty percussion that’s played by Peter and that perfectly support his luscious harmonies. Other tracks similar in mood to this include “Mi Amore” and “The Road Home”, the title track. I love them too. “Night into Day” is a track that stands out. I would describe it as a heartfelt hymnal that features a layered piano. It’s perfect just the way it is, yet I hear a choir of angels singing along. It’s my wife’s favorite. Very gorgeous. Track ten, “Distant Dreams”, is the only solo piano composition. Peter’s strong jazz background is apparent here. It’s a subtle, contemplative and heartfelt way to end the album. 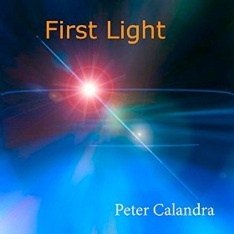 In addition to all the music that Peter Calandra creates, he finds time to teach music technology at Queens College, CUNY. I’m thinking the students there are lucky to have a professor with so much experience and talent. Maybe I can take a class with him some day!